The Falkland Islands consist of two main islands and several hundred smaller islands in the South Atlantic, 300 miles (500 km) off the east coast of southern South America. Most visitors to the islands come in summer, between October and March, to enjoy the spectacular wildlife and quaint rural lifestyle. By the decided will of more than 98% of the resident population expressed in internationally monitored referenda, the Falklands are a United Kingdom Overseas Territory and are an associated territory of the European Union. The Falklands have been claimed by Argentina as the Islas Malvinas for more than 180 years and were the site of a major conflict between the two countries after Argentina invaded in 1982. This resulted in the overthrow of the military dictatorship in Argentina after the invading army was defeated. Sovereignty issues continue to be raised by Argentine governments in the UN context while UK holds a strong military presence as a deterrent for further military actions. Although first sighted by an English navigator in 1592, the first landing (English) did not occur until almost a century later in 1690, and the first settlement (French) was not established until 1764. Since that time the islands have been the subject of ongoing territorial disputes, first between Britain and Spain, then between Britain and Argentina. For nearly two hundred years, and certainly since 1833, the islands have been under British control. Open conflict between Britain and Argentina began on 2 April 1982 when Argentina landed troops on the islands. The British responded with an expeditionary force that landed seven weeks later. After fierce fighting in what is often known as the Falklands War, the Argentine occupation force was forced to surrender on 14 June 1982. Nonetheless, today successive Argentine governments continue to claim sovereignty over the archipelago. The economy of the Falklands was formerly based on agriculture (mainly sheep farming) but today fishing contributes the bulk of economic activity. Income from licensing foreign trawlers totals more than USD40 million per year with squid accounting for 75% of the fish taken. Agricultural activities mainly support domestic consumption with the exception of high grade wool which is exported. Surveys have revealed oil deposits within a 200 mile (320 km) oil exploration zone around the islands and exploratory drilling is under way. The substantial British military presence provides a sizeable economic boost. Tourism is being actively encouraged and increasing rapidly with about 66,000 visitors in 2009; a significant part of the increase is from visiting cruise liners. The majority of visitors are from the UK but efforts are being made to encourage wildlife and adventure tourism. The main season is November to March but angling for sea trout is most favourable outside of this period. The most popular reason to visit is for the scenic beauty and the flora and fauna. Conservation is high on the Islands' agenda. Bird and marine species are the most prevalent fauna and include five species of penguin, four species of seal, albatross, petrels, the Falkland Flightless Steamer duck (Logger Duck), other duck species, geese, hawks and falcons. The Striated Caracara (Johnny Rook) is a rare bird of prey found only on the Falkland Islands and some islands off Cape Horn. Porpoises and dolphins are often sighted with the occasional sighting of whales. The terrain is rocky and hilly, with some boggy terrain. Peat is found throughout the islands, leading to potentially dangerous fire conditions; once ignited, a peat fire can burn for months. The deeply indented coast provides good natural harbours. The highest point in the islands is the 2,313 ft (705m) Mount Usborne mentioned by by Charles Darwin in the Zoology of the Voyage of the Beagle and named after the Master's Assistant on HMS Beagle, Alexander Burns Usborne, one of the crew on Darwin's famous voyage. Strong westerly winds are a constant in many parts of the islands. It is more likely to rain in the southeastern part of the islands with the far western islands getting very little yearly precipitation. Although it is located almost exactly as far south as London is north of the equator, the absence of a warming current like the Gulf Stream means temperatures are considerably colder and snow may occur at any time except for January and February, although accumulation is rare. Most visitors come to the islands between November and March. The Falklands is a victim of the Antarctic ozone hole, so it is important to wear sunscreen on sunny days during the early summer. Life in the Falklands can be divided between living in Stanley or living in camp. The two main islands of the territory are East Falkland and West Falkland, with numerous smaller islands providing additional destinations. "Town" is a relative term in the Falklands. While the population of Stanley hovers near two thousand, the populations of other settlements usually range from the single digits to perhaps twenty people with a noticeable increase during the busy sheep shearing times. Bear in mind that the average medium sized village located in the United Kingdom has a population of only around 3,000 and this is nearly the total population of the entire Falkland Islands. With the exception of those arriving by cruise ship who will not be spending a night on land, all visitors to the Falklands must show that they have a return ticket, accommodation and sufficient funds to cover their expenses while in the islands. A major credit card will be accepted as proof of funds. A departure tax of £25 is charged when leaving the territory from Mount Pleasant airport, which must be paid in cash (either in Pound Sterling or in Falkland Pounds). Visitors arriving onboard a cruise ship and do not spend a night in the Islands. Visitors who hold a passport from the UK, EU/EEA, Andorra, Argentina, Australia, Bolivia, Brazil, Canada, Chile, Hong Kong, Iceland, Israel, Japan, Liechtenstein, New Zealand, Norway, Paraguay, San Marino, South Africa, South Korea, Switzerland, Taiwan, United States, Uruguay or Vatican City. Because medical evacuation from the islands can be very costly, an expensive traveler's insurance plan (such as Assist Card 250) may be requested to those arriving by plane. International flights arrive at the Mount Pleasant (MPN) airport, which is also a military base and approximately 56 km from Stanley. The only commercial carrier to use this airport is LATAM (formerly LAN, LanChile) on a weekly flight from Santiago de Chile via Punta Arenas (CL), Rio Gallegos (AR) (monthly). The Royal Air Force also contracts two flights per week from RAF Brize Norton, Oxfordshire in the United Kingdom on the South Atlantic Airbridge; Flights are subject to military priorities, though civilians can purchase tickets for vacant seats. Travel time from the UK is 18 hours and includes a stop in Cape Verde en route. Nationals of Belarus, China, Egypt, Iran, Libya, North Korea, Russia, Syria, Ukraine, and Vietnam are not allowed to use the South Atlantic Airbridge from 5 March, 2015, the Uruguayan news agency MercoPress reported on the same day, citing the UK Ministry of Defence. The ministry did not indicate a reason for the restrictions on those nationalities, but said that it "places the greatest importance on the security of its people, facilities and operations” (as the flight uses RAF air bases) and that the policy would remain under review. There is also an airport in Stanley (PSY) but it has a smaller runway and is used for flights within the Falklands. Falkland Island Tours & Travel (☎ +500 21775, [email protected]) operates a shuttle bus that meets all flights and that can take visitors to and from the capital for £17.00 per person (one-way). Pre-booked taxis also take passengers to and from the airport. Large cruise ships stop at Stanley's port throughout the summer. These boats may also stop at some of the outlying islands. While cruise ships can dock at Stanley, be prepared to come ashore on a zodiac, also called a rigid inflatable boat (RIB), when landing on most other islands. It is also typical for expedition ships en route to Antarctica, to include a stop at the Falkland Islands in their itinerary. 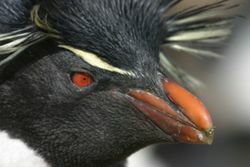 Cheesemans' Ecology Safaris offers various itineraries that include the Falkland Islands. 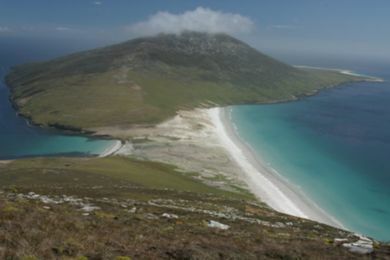 Depending on the itinerary, they offer 1-3 days on the Falklands during their Antarctic Peninsula, South Georgia and Falkland Islands Extended Expedition and their South Georgia and Falkland Islands In-depth Expedition. They stress maximum time ashore and Zodiac cruising with an experienced staff of Antarctic veterans. 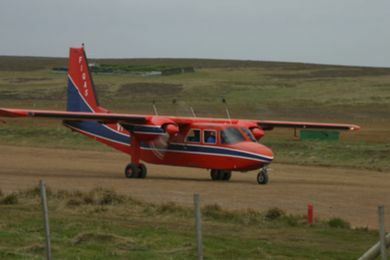 Travelling between islands in the Falklands is generally done using the Falkland Islands Government Air Service (FIGAS). The planes are Britten Norman Islander aircraft, capable of carrying eight passengers plus pilot. Be aware however, that passenger load may be reduced depending on the condition of the airstrips being visited. With the exception of Stanley and Mount Pleasant, all airstrips in the Falklands are either dirt strips or grassy fields. Be prepared for slight delays while livestock is cleared from airstrips prior to takeoff/landing! FIGAS flights leave twice daily from the airstrip just outside of Stanley and travel to a variety of locations throughout the islands. There is a baggage limit of 20kg per person which is strictly enforced; you and your baggage will be weighed prior to boarding in Stanley. For those with more than 14kg of baggage there is an additional charge of £1.00 per kilogram, space permitting. Note that unless the plane is flying to an island with a very poor landing strip there are almost never weight constraints that would prevent travelling with a few extra kilos of baggage. Reservations are required for travel and should be booked at least 24 hours in advance. Booking reservations can be done either by calling the airport on ☎ +500 27219, emailing [email protected] or visiting the airport in person when it is open (hours vary depending on flight schedules but mid-morning is usually a good time). Flight schedules are announced the night before departure and are also available via a fax service. Most lodges will post the schedule as soon as it is announced. 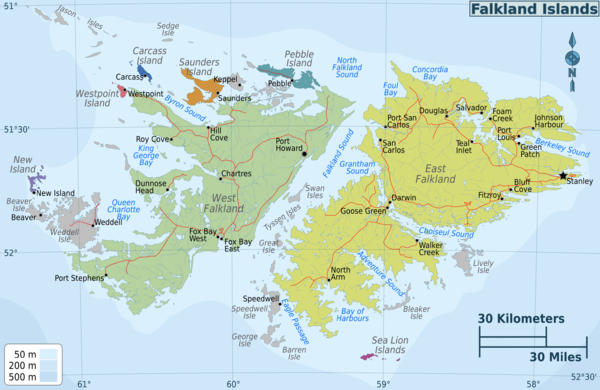 While it is theoretically possible to get around the Falklands by boat, as of March 2010 there was no regular service available to tourists travelling in small groups to the outer islands; (contrary to reports in guide books, the Golden Fleece does not taxi passengers around the islands). For large groups it may be possible to charter a boat in advance thus providing a great way to visit some of the less-travelled islands. Be aware that per-passenger landing fees are charged on many of the islands; contact the island's owner before visiting. However there is a regular passenger ferry between New Haven, 2 hours car journey from Stanley to Port Howard. Ferry tickets must be booked in advance from Workboat Services on 22300. As of December 2008 example prices were: Foot Passage single £10; Car Passage single £25. Large cruise ships are the most common means for people to visit the Falklands, and most will make several landings at various islands. Note that aside from Stanley all landings from cruise ships are done using zodiacs (small inflatable boats), and in many cases the lack of docking areas will require a quick wade from the zodiac onto shore. Within Stanley there are two taxi services that can be hired for travel throughout the town and surrounding areas, including the Mount Pleasant airport. Land Rover rental may be possible from Stanley. Contact either the Falkland Islands Company or Stanley Services ([email protected]) for information. Roads in Stanley are paved, but elsewhere road conditions range from well-maintained dirt roads to boggy mud streams. Unless your travels specifically require having your own vehicle, renting a Land Rover is neither necessary nor a particularly good idea. As the Falklands are a British overseas territory, English is the official language. Ten percent of the population is fluent in Spanish, mainly native speakers from nearby countries like Chile. Many others have a "working knowledge" of Spanish. Museum - The Museum is situated on Holdfast Road. Volunteer Point - The biggest rookery of King penguins, plus seasonal Gentoo and Magellanic penguins. New Haven - ferry point that crosses from East to West Falkland, and a rookery of Gentoo penguins. Darwin Cemetery - graveyard dedicated to the Argentine fallen from the 1982 conflict. Battlefield memorials - present at Goose Green, Fitz Roy, Cape Pembroke and Stanley's surrounding mounts. The official Falklands currency is the Falkland Islands Pound (FKP) whose value is equal to the Pound Sterling (GBP). Money can be exchanged at the only bank in the islands which is located in Stanley across from the FIC West store. Pound Sterling (UK notes and coins) is accepted anywhere in the islands and, within Stanley, credit cards and US currency are also often accepted. On the outlying islands credit cards will probably not be accepted, although UK and US currency may be taken; check with the owners in advance to determine what is an acceptable payment method. It is nearly impossible to exchange Falklands currency outside the islands, so be sure to exchange all money before leaving the islands. If leaving the islands through a flight from Mount Pleasant, it is a good idea to save FKP 25 for the embarkation (exit) fee, or to spend your last Falkland Pounds in the airbase's duty free shop. Meals in the Falklands are primarily traditional British. Fish and chips, roast beef, mutton and tea are standard fare. There are some Argentinian influences such as Milanesa and Cazuela. While in camp many of the lodges provide home-cooked meals in very generous portions and their food is generally better than is found in Stanley's pubs and eateries. However, Stanley does have a few good restaurants. While most items in the Falklands are expensive due to the cost of importation, there are no taxes on alcohol making beer prices fairly reasonable. Pubs and lodges offer a wide selection, although most drinks will usually come from a can or bottle rather than a tap. A work permit is required for any foreign national, including UK citizens, working in the Falklands. Work permits should generally be applied for prior to coming to the islands and will require an employer's sponsorship. Additional information can be found at the Falkland Islands Government site. The locals can be unfriendly towards 'contractor workers'. They also think they get free housing. Contract workers are essential to the Falklands Economy due to a shortage of skilled and professionally qualified workers. It is almost impossible to find fresh fruit and vegetables there and when you do they are extortionately priced, for example, a banana will cost £1 and a small orange or one single plum will cost 90p. Cabbage and cauliflower costs around £4.50 for half a portion and when you get it home you will find it is more than likely rotten. Half a portion of lettuce costs around £3.50 and a small cucumber costs £4. Tomatoes for some reason are very expensive, if you buy 2 small tomatoes that will set you back £2.50! There is no fresh milk available and all milk is UHT/long life milk. The only fresh meat on sale in the supermarket is mutton. A frozen chicken costs around £12 for a 2kg bird. The cost of heating your house during the time that you are there is also a problem as kerosene (the only form of heating available to most housing there) is expensive and will set you back £200 to £300 or more per month to heat a small 3 bed house. Overall the cost of living is at least 3 times higher than the UK. The internet is very expensive and it costs around £80 per month for a limited data package of 4GB per month. It is not uncommon to be charged extra for going over your monthly allowance as it is easy to do this, most smart phones and tablets use the Internet to update so are hungry on the data. The internet is very slow and crashes often. Streaming is a big 'no' not only because of the cost but because it constantly buffers 'stop start'. It is not uncommon to receive monthly phone/Internet bills in excess of £200. It costs around 60p off peak to phone the UK and 90p per minute peak rate. It is expensive to get off the Island and a return flight to Santiago (the nearest airport interchange hub) costs approximately £800 per person and is a 7 hour flight. It costs £1600 for a return ticket to the UK if you are eligible for discount (you need to be a FIG employee) otherwise it costs £2100.00 per person. Unexploded ordnance from the 1982 conflict, including land mines, are still found in the islands. No civilians have been harmed by landmines since the conflict ended and the remaining minefields are all well marked and clearly cordoned off. It is a criminal offence to enter a minefield or to remove minefield signs. There are no special medical requirements for visiting the Falklands. There is a large hospital in Stanley but outside of the capital there are no medical facilities. For serious injuries the costs of being airlifted out of the islands are very high. Your travel insurance must cover the costs of medical evacuation. Since the population has British roots, customs tend to follow those of the United Kingdom, although in many ways the islanders are more conservative than Britain. Drugs are not tolerated and travelers should be aware that among some residents there is still a mistrust of Argentines stemming from the 1982 conflict between the UK and Argentina. Always ask permission before entering private land. Keep to paths wherever possible. Leave gates open or shut as you found them. Be aware of the high fire risk throughout the Islands. Be extremely careful when smoking not to start fires. Take cigarette butts away with you. Do not litter; take your rubbish home with you. Do not disfigure rocks or buildings. Do not touch, handle, injure or kill any wild bird or other wild animal. Never feed any wild animals. Always give animals the right of way. Remember not to block the routes of seabirds and seals coming ashore to their colonies. Try to prevent any undue disturbance to wild animals. Stay on the outside of bird and seal colonies. Remain at least six yards away. When taking photographs or filming stay low to the ground. Move slowly and quietly. Do not startle or chase wildlife from resting or breeding areas. Some plants are protected and should not be picked. Whalebones, skulls, eggs or other such items may not be exported from the Falklands. When speaking with locals, be aware that many of them consider themselves Falkland Islanders instead of British, even if they have a British passport. The international calling code for the Falklands is +500. The local phone company, Cable & Wireless, sells phone cards which can be used throughout the territory but international calls cost £0.90 per minute. Broadband internet access now exists island-wide although speeds are much closer to dialup, 56 Kbps or less. Several hotels, as well as the visitor centre offer computers that accept Cable & Wireless internet cards and there are an increasing number of Wi-Fi hotspots. Both phone and internet cards can be purchased from the Cable & Wireless office in Stanley (located on the hill past the War Memorial), as well as in some of the stores in Stanley. The larger lodges will also sell phone cards and may have internet cards. More recently a GSM cell phone network has been made available but works only for Stanley, Mount Pleasant and a few other locations on East Falkland. The postal service in the Falklands is reliable and letters can be mailed easily from Stanley and most settlements. The main post office is located in downtown Stanley across from the FIC West store. This page was last edited on 26 December 2018, at 19:11.